The first round of the McLaren Shadow finals concluded yesterday. After five tense races across various titles and platforms, four of the seven competitors exited the Esports racing competition leaving us just three that will do battle in tonight’s grand finals. Igor Fraga, Miguel Ballester and Nuno Pinto finished in the top three places to secure their place in the final McLaren Shadow race-off which included points scored across the week’s human performance testing, as well as on-track laps. The overall winner will receive a seat in the McLaren Esports team, and the opportunity to join McLaren’s esports development programme, to hone their skills and work with their Formula 1 team. 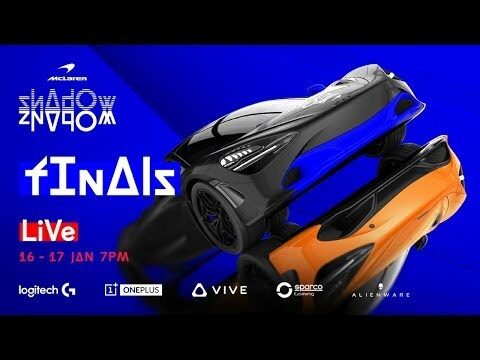 You can view the grand finals which will take place tonight 7pm GMT / 8pm CET /11am PST on the McLaren YouTube channel video below.